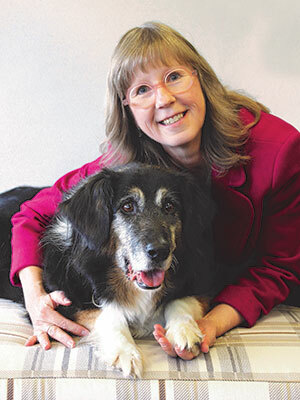 Debbie Stoewen is Pets Plus Us' Care and Empathy Officer and Director of Veterinary Services. Upon graduation, Debbie spent the first few years in general and emergency practice before founding the Pioneer Pet Clinic, a companion animal hospital in Kitchener, Ontario. While fostering with Family and Children's Services, she became inspired by the values of social work and returned to university to attain a Master of Social Work degree. Debbie then merged her education as a veterinarian and social worker to earn a PhD specializing in veterinary medical communication and decision-making. As an educator, entrepreneur, and facilitator, she is committed to advancing the health and welfare of people and animals at the intersections of industry, academia, and civic society. Communicating with owners of pets approaching the end of their lives is challenging. Such conversations contend with issues of monumental consequence. The manner in which members of the veterinary team approach and discuss end-of-life has the potential to alleviate or aggravate client grief, influence client and professional satisfaction, and create or destroy long-lasting veterinary-client relationships. Compassionate, skilled conversations foster client decision making, reduce animal suffering, and enhance both client and professional satisfaction and well-being. This session presents the underlying social dynamics that make these discussions so difficult and an evidence-based approach to communication to enable you to be more effective with end-of-life conversations. Effective communication is one of the most important contributors to high quality end-of-life care. Adams CL, Bonnett BN, Meek AH. Predictors of owner response to companion animal death in 177 clients from 14 practices in Ontario. J Am Vet Med Assoc 2000;217:1303–1309. Buckman R. How to break bad news. Baltimore (MD): The Johns Hopkins University Press; 1992. Shaw JR, Lagoni L. End-of-life communication: delivering bad news and euthanasia decision making. Vet Clin North Am Small Anim Pract 2007;37:95–108.